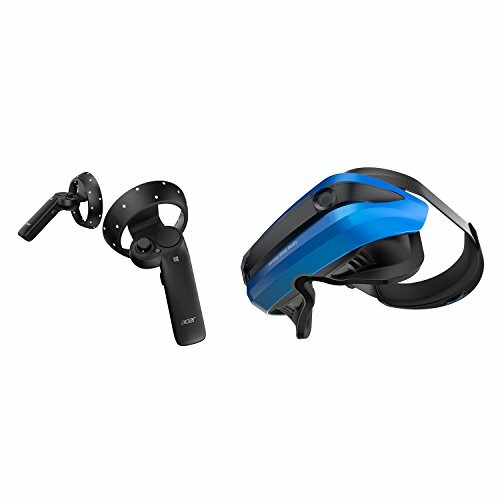 Windows Mixed Reality headsets are easy to set up, but frustrating to use. 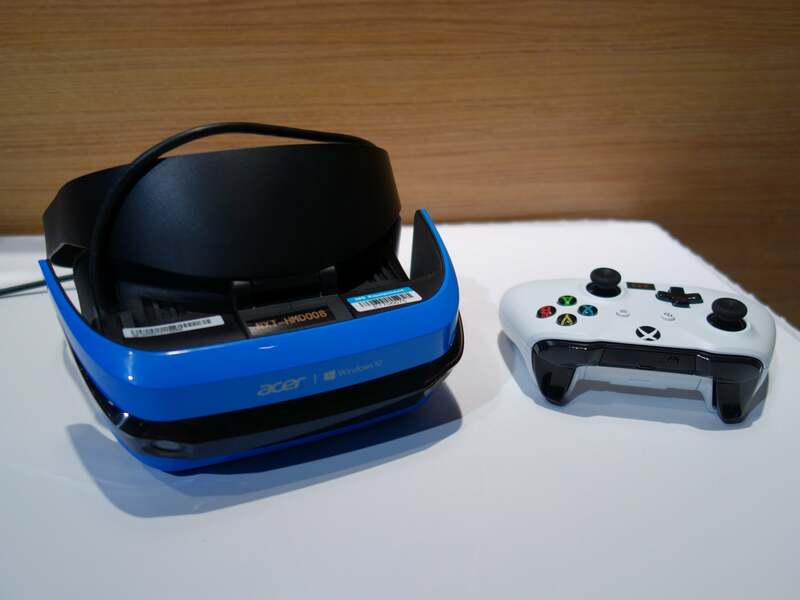 Hardware doesn’t really have an “Early Access” period per se, the way games often do nowadays, but I’ve put off writing about Microsoft’s Mixed Reality headsets for essentially that reason. A half-dozen headsets emerged last October with few games and even less fanfare. To make matters worse, they were locked to the Windows 10 Store at launch, making it particularly unattractive to those who’d already amassed a sizable amount of VR content on Steam. That sin wasn’t rectified until December when Microsoft added rudimentary SteamVR support—in beta. And it wasn’t officially rectified until about a week ago, when Windows 10’s April 2018 Update coincided with SteamVR-on-Mixed-Reality getting the 1.0 seal of approval. 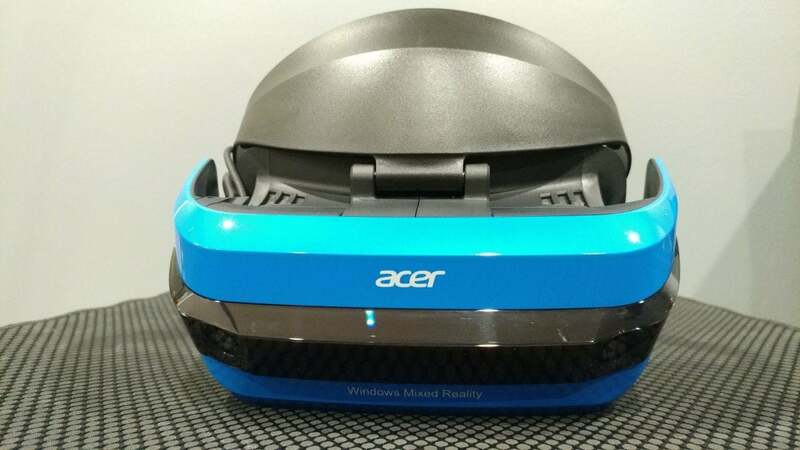 So I dug out Acer’s Windows Mixed Reality headset ($400 on the Microsoft Store) to give it a whirl. This is, I guess, about as finished as Windows MR’s first generation is going to get. To be honest, not much has changed though. More software has not fixed fundamental problems with the Windows MR hardware. First, let me note: I’m coming to Windows Mixed Reality as a virtual reality veteran. I’ve been covering this wave of VR headsets since the original Oculus Developer Kit. It’s a bias, and so I’m making it clear up front. I’ve used better VR kits, and a lot. I mess around with my HTC Vive every week, often multiple times a week, and have for two years now. I’ve watched the Oculus Rift evolve from a prototype to a fully fleshed-out product. There’s room out there for the “Windows MR is my first VR headset” viewpoint, and I’m sure someone’s written that review. And in that context, I think Windows MR has some points in its favor. Hell, as a VR vet there are still some aspects of Windows MR I appreciate. The resolution, for one. The Acer headset I’ve been testing boasts 1440x1440 per eye, a noteworthy increase over the Rift and Vive’s 1080x1200 per eye. Windows MR looks clearer and crisper, and without needing to pony up $800 for the Vive Pro. That’s excellent. Microsoft's Windows Mixed Reality controllers. I also think the controllers are, for the most part, well-designed. They blend some of the best aspects of the Vive and Rift, with both trackpads and analog sticks, easy-to-grasp triggers and grip buttons, and a fairly slim chassis. 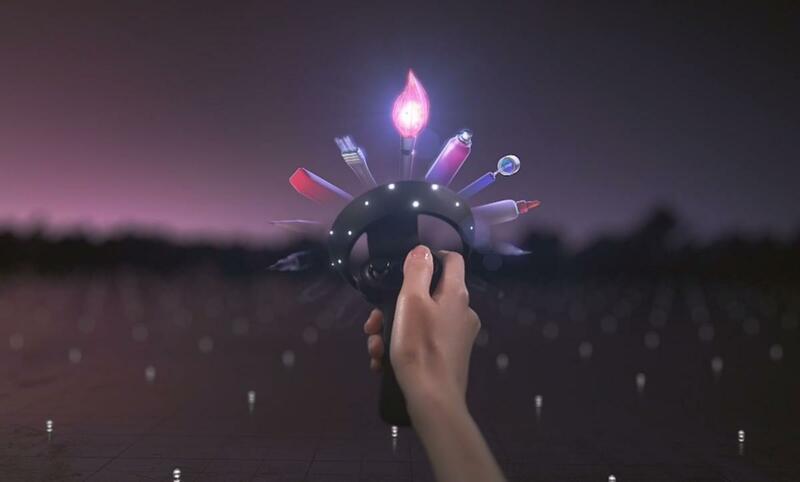 Oculus Touch still gets the win in that category, but Microsoft's Windows Mixed Reality controllers feel a lot better than the Vive wands. They use AA batteries. Oculus Touch does the same, but I prefer the built-in rechargeable batteries of the Vive. Sure, it’s a hassle when they die, but it’s also a hassle for me to remember to have AA batteries on-hand. They pair with Bluetooth—not really a standard feature on most self-built gaming rigs, as Bluetooth is usually reserved for high-end motherboards (for whatever reason). Luckily I had a dongle lying around, but you’d think a $350 headset would ship with the hardware to cover such an obvious edge-case. A USB dongle is, what, $10? The haptic feedback (rumble) is weak. It’s there now, at least for some games, but barely. Then there’s the headset itself. Acer’s is...well, not an incredible design. I’m not a fan of the bright blue, nor how plastic the whole device looks. The display also gets uncomfortably warm, even more so than the Vive and Rift, and the lack of headphones is a shame. That said, it’s pleasantly lightweight and I love how the visor snaps up out of the way when I want to take a quick break. It’s clear some cues have been taken from the PlayStation VR and HoloLens, and that’s not at all a bad thing. For the record, other headsets I’ve tested (like Dell's Windows Mixed Reality hardware) have been even more comfortable, and Samsung’s headset does have built-in headphones. You’ve got options. 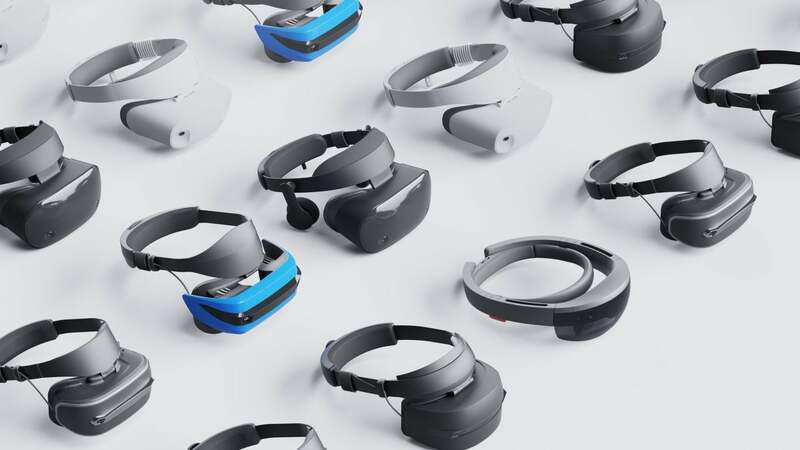 But let’s get into the tracking, because it’s the core of the Windows MR ecosystem across all headset models and also where, as a longtime VR evangelist, it starts falling apart for me. Windows MR headsets rely on inside-out tracking—specifically, optical inside-out tracking. I clarify because technically the HTC Vive also uses inside-out tracking, but does so by blasting the Vive with lasers from its two Lighthouse base stations. The inside-out tracking used by Windows MR is done without base stations. The two cameras on the front of the headset analyze your environment, looking for any distinguishing features—artwork, your computer monitor, a bookshelf, whatever. It then uses this to orient itself while you play. Pretty cool, huh? And I have to say, I’m impressed with what Microsoft did manage. 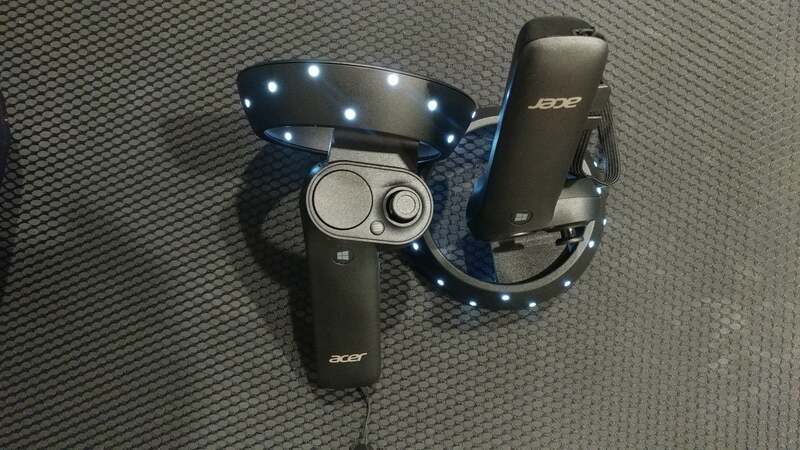 Position tracking for the headset itself is remarkably solid, and I haven’t had any floating-six-feet-above-the-digital-ground horror stories like I did at PAX last fall. Sure enough, the quieter confines of my apartment are a much better showcase for inside-out tracking than the chaos of a conference showfloor. Given this is essentially the first mainstream attempt at camera-driven inside-out tracking? It’s encouraging for the future. There are certainly benefits, too. It’s way easier to set up a Windows MR headset than a Vive or Rift. You just plug the headset in, run through the setup tutorial, and you’re good to go, making Windows MR great for travel in particular. No need to clear desk space to position the base stations, or mount anything to the wall. The only cumbersome bit is you have to carry the headset around the entire space to calibrate room-scale instead of, like the Vive and Rift, using the controllers. That’s only a small drawback though. But there’s a compromise, and it’s the hand-tracking. 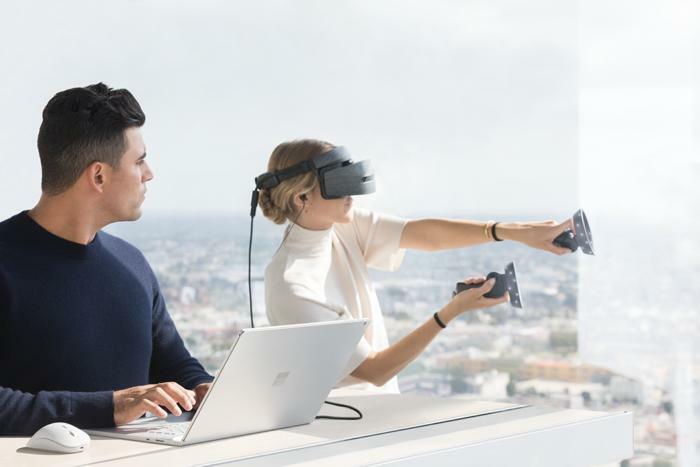 Without base stations, Windows Mixed Reality has to rely on those same front-facing cameras to know where the controllers are. The problem: Your hands aren’t always in front of your face. Sometimes they’re down at your waist while you’re looking upwards. Sometimes you look left and your hands move right. Sometimes your hands are behind your back. You might think “Okay, but normally they’re in front of your face, especially in VR” and you’d be right. Normally, they are—but if my time with Windows MR is anything to go by, problematic situations crop up more often than you think. In Google Earth VR, for instance, holding your left controller up to your chin triggers Street View. On Windows MR, since your chin isn’t in the narrow tracking zone, that action has a habit of not triggering properly, or breaking prematurely as soon as you move your head to look around. In Job Simulator, throwing objects is at best an approximation of movement as the system tries to estimate your direction and angle. In Kingspray Graffiti, putting my non-spraying hand at my side was enough to cause it to glitch. My left hand was behind my back when I took this Kingspray screenshot, but you wouldn't know it from the glitched-out floating hand that materialized in front of me. And more active games are worse. Audioshield has you blocking incoming projectiles from both left and right, often in the periphery of your vision. With Windows MR, I found the controllers consistently lost sync with my actual hand placement, making the game all but impossible to play accurately. Bow-and-arrow games like Holopoint or Skyrim’s bows are also a challenge, and swinging stuff around in Gorn felt haphazard and sloppy. Not to say Oculus and HTC don’t have their own tracking issues. Oculus’s cameras have a narrow tracking cone too, and I regularly have problems using the Touch controllers near the ceiling or down towards my floor. It’s also possible to occlude both Vive base stations too, albeit much harder. With Windows MR it’s constant, though. Even simple, everyday actions can cause problems, like keeping one hand down at your waist while you use the other to click through menus—maybe 10 percent of the time, the controller at your waist will suddenly materialize in front of your eyes, as if your hand had spontaneously teleported three feet upwards. Windows Mixed Reality headsets can also use an Xbox Controller for some games. It adds up to a subpar experience—at least for me, with the options I have. Again, this is coming from a seasoned VR user. Novices? Probably fine. Heaven knows Windows Mixed Reality is more polished than that original Oculus Developer Kit, and back in 2013 I was amazed by my early forays into VR. 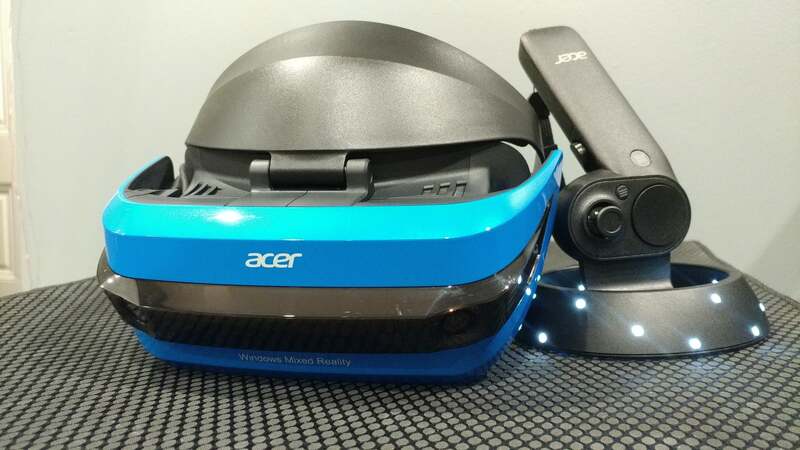 I expect a VR beginner could walk into a Microsoft store, try on this Acer headset, and believe I’m nitpicking. I think more experienced users are bound to be frustrated though. I know I have been. The moments when it all breaks, when you’re yanked out of a tense moment to watch your hand float off into space? It’s anathema to what I like about VR, which is when I forget I’m wearing it. That’s hard enough to accomplish with the Vive and Rift, and even harder with Windows MR. I should also take a moment, before we wrap up, to touch on Windows Mixed Reality's SteamVR support. After all, that’s what prompted me to bust out the Acer headset again. True to its word, the headset does run SteamVR games now—although that process is also a bit awkward. I’m sensing a pattern. 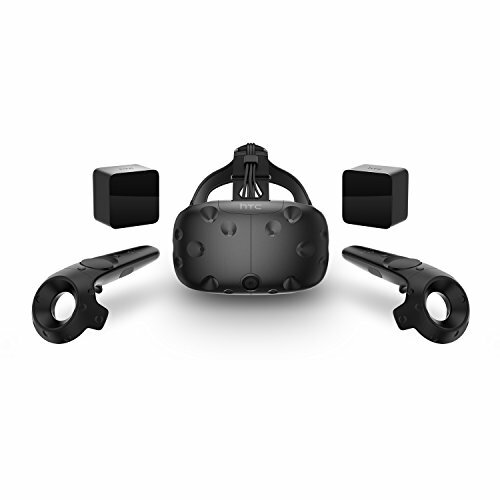 SteamVR is built on OpenVR, which to quote Valve is “an API and runtime that allows access to VR hardware from multiple vendors without requiring that applications have specific knowledge of the hardware they are targeting.” The end result: SteamVR will automatically detect whether you’re running an Oculus Rift or an HTC Vive. You don’t have to specify. Windows Mixed Reality's Cliff House. Thus I expected Windows MR to be the same. Not quite, though! You actually need to download a Windows MR software utility through Steam, run that, and then the standalone Windows MR program (running through the Windows 10 Store) launches in turn. 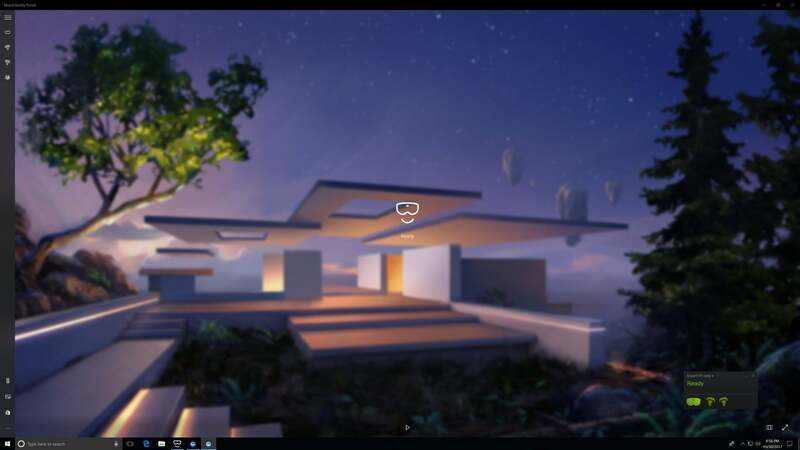 Windows MR then treats Steam as a program running inside the Windows MR “Cliff House” environment, the same as any Windows 10 Store app. This is where SteamVR through Windows MR starts to become weirdly cumbersome, as Microsoft reserves some of its controller functions for its own needs. Thus, to simulate the Vive’s menu button you don’t press the corresponding menu button on a Windows MR controller—that boots you back to the Cliff House, minimizing SteamVR. No, instead you click in the left analog stick to access the Vive menus, a motion I still haven’t gotten accustomed to. It’s doable, sure, but you immediately get a “This isn’t native functionality” vibe from it, like trying to play a racing game with a mouse and keyboard. In any case, it works. That’s bound to be all that really matters to people who do end up purchasing a Windows MR headset—most games run fine, within the aforementioned hand-tracking constraints. You can also get Oculus games up and running through ReVive, with decent results. 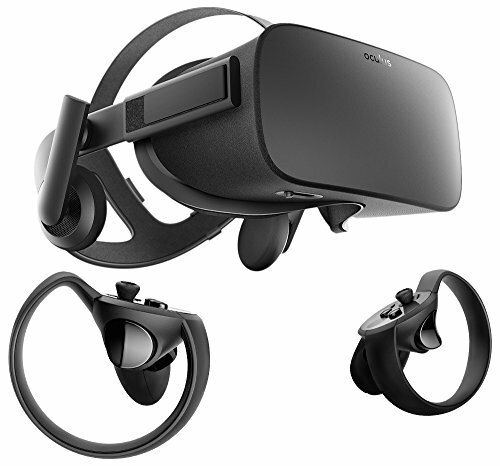 Unless you’re very averse to setting up base stations, the Oculus Rift is an all-around better VR experience. That might not have mattered had Microsoft released a year earlier, when the Rift was $600 and the Vive at $800. At this point though, the Rift is down at $400 permanently. That’s the same list price as the Acer headset. To be fair, Microsoft’s partners have countered by dropping their prices too. 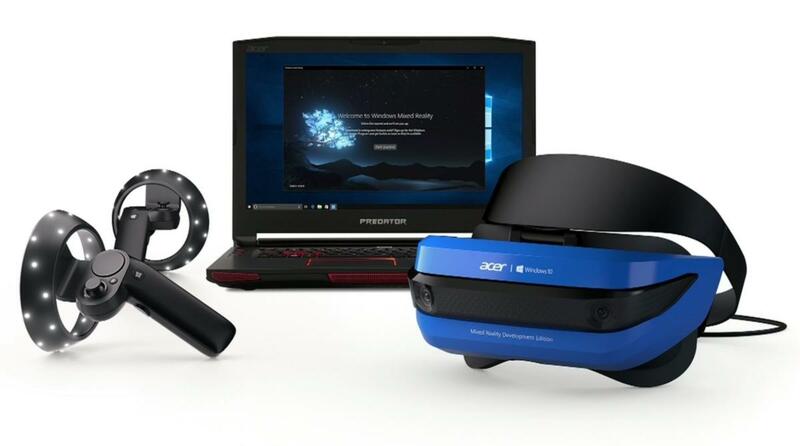 At time of writing, Acer’s Mixed Reality headset is on Amazon for $240 via a third-party seller, and I’ve seen prices as low as $200 for other models in recent weeks. Maybe that’s a price worth putting up with Windows MR’s quirks, especially for first-time VR users. People adapt. Windows Mixed Reality feels like a proof-of-concept, though—especially after using Oculus’s Santa Cruz prototype last fall. That headset also uses built-in cameras, but with a much wider field-of-view for tracking so it gets confused less often. Windows Mixed Reality is an early showcase for what I expect becomes the future standard, but it has all the first-gen problems too. A few too many for me to want to deal with, when the Oculus Rift and HTC Vive are rock-solid alternatives.